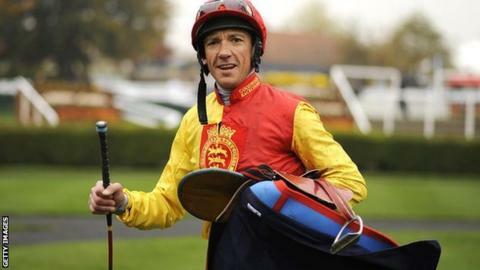 How the racing world has changed in the six months since Frankie Dettori received his race-riding ban from the French authorities. In December, for racing's best known participant to be found to have used cocaine when tested at Longchamp races in Paris seemed little short of calamitous for the sport. The 42-year-old is so much more than a hugely successful talent, the winner of three champion jockey's titles and 14 British Classic races, among more than 500 victories at Group One level. Away from the track, his dashing, cheeky chappie style and distinctive Italian/cockney accent have made the father of five the most familiar face of racing, and as such regularly promoted to a wider public. To millions, he has not been so much Frankie Dettori but simply 'Frankie'. For a role model figure of that nature to have infringed such sensitive rules, and consequently be absent from the saddle for so long, felt like a body blow of gigantic proportions. All in all, however, the bar for drugs disgrace has been somewhat raised of late by the anabolic steroid scandal at Sheikh Mohammed's vast Godolphin stable, Dettori's employer until they split in October. The jockey has blamed the pressures associated with his perceived sidelining in favour of younger colleagues, for the transgression, or "moment of weakness". Clearly, there is nothing piddling about a major international sportsperson failing any kind of drugs test, but in comparison to Godolphin's woes it does seem small beer. So the return of a suitably contrite Dettori is widely welcomed. That said, a due sense of proportion must be maintained so the British Horseracing Authority made a correct call when vetoing plans by Leicester racecourse, the expected scene of his comeback (before it was delayed by the BHA on Friday), to stage the Welcome Back Frankie Maiden Stakes. In preparation for his return, since a lucrative but unsuccessful appearance on TV's Celebrity Big Brother, a string of trainers have been utilising Dettori's services on the gallops. That included a stint at Ballydoyle, the County Tipperary base of Aidan O'Brien, number one trainer for the Irish-based Coolmore racing empire, fierce rival of Godolphin. It is believed to have been the jockey's agreement to ride Coolmore star Camelot in the Prix de l'Arc de Triomphe in October that was a final straw for Godolphin as regards riding changes. Of course, Dettori does need to put himself about as post-Godolphin life means entering the world of the freelance, self-employed rider with no specific contracts. As well as at O'Brien's, he has been spotted riding for Newmarket-based trainers including Flat racing's champion John Gosden and Classic race winners Ed Dunlop and William Haggas. Dettori's immediate colleagues say they are looking forward to a return to "business as normal" for a highly popular member of the changing room. Dale Gibson, industry liaison officer for the Professional Jockeys Association, told me: "I think racing needs him and he's a wonderful sporting icon. He made a mistake - everybody's human. It shouldn't have happened but hopefully he can move onwards and upwards. "Let's just hope the younger people that look up to Frankie can forgive him. I'm sure they will." Returning from long enforced absences has not always been easy for disgraced big names, however big, but in racing it proved easier for Lester Piggott and Kieren Fallon. Piggott famously went to prison for tax offences, while Fallon's career has not floundered despite two drugs bans, also incurred in France, one of six months and the other of 18. Fallon, enjoying a purple patch despite, at 48, being one of the most senior jockeys, joked that the only problem about Dettori's return is that "he'll be back and freelance and competing for my rides". He added that after a six-month break from the regular grind of race-riding, his friend and rival would be fresher, more energetic and, therefore, more formidable than ever. Dettori will probably get the chance to show off his big race skills sooner rather than later, with the chance, it is expected, of a mount in the Epsom Derby on 1 June - perhaps for Aidan O'Brien. And then, assuming no more "moments of weakness", he should have four or five more seasons to demonstrate the strengths that the public loves and that racing needs.